Qarsoodi is a small village in central Somalia’s Galkayo district. Those who live in the village are hardworking pastoralists who depend entirely on their livestock for their livelihood–and their survival. Not surprisingly, they treasure their animals deeply. Even as drought conditions worsen, they know they must do all they can to provide feed and water for their livestock, even when water is in precious short supply. The prolonged drought in Somalia has brought with it severe water shortages—shortages that have tested the villagers loyalty and commitment to their animals. 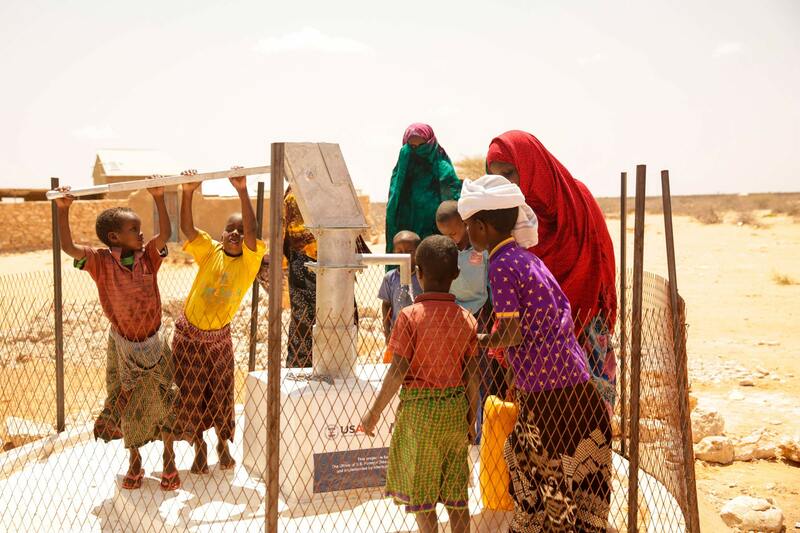 More than half the population in Somalia does not have access to safe drinking water. With funding from the U.S. Agency for International Development’s Office of U.S. Foreign Disaster Assistance (USAID/OFDA), International Medical Corps is working to ease the burdens of villages like Qarsoodi, providing lifesaving care and other assistance to the people of five districts, including Galkayo. But of all the assistance we provide, there is one project that has painted the broadest smiles to residents of Qarsoodi: the rehabilitation of two long-dormant shallow wells on village land. International Medical Corps is on the ground responding to the needs of Somalis whose lives have been affected by the drought. 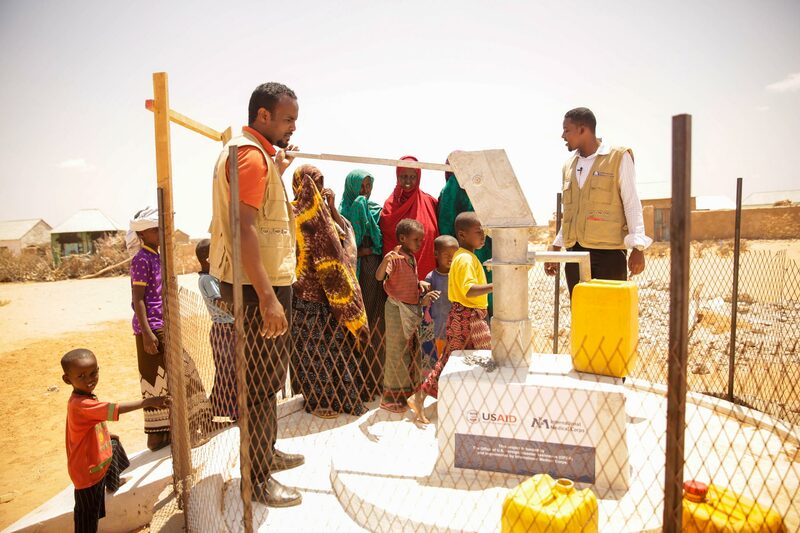 Our teams also provide access to much-needed health, nutrition, water, sanitation and hygiene services to the people of Galkayo as well as other parts of Somalia. With USAID’s support, more than 20 shallow wells have been restored and communities like Qarsoodi can now access clean water.